The Netherlands Antilles, or the Dutch West Indies, are two groups of islands in the West Indies discovered in 1499 by Alonso de Ojeda of Spain. Mainly under Dutch influence since 1634, it now has domestic autonomy. The capital is Willemstad on the island of Curaçao. 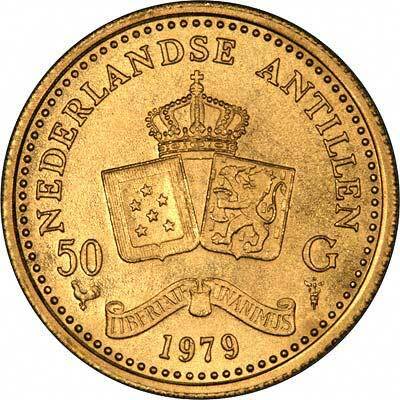 The first gold coins of Netherlands Antilles were issued in 1976. They are demoninated in Gulden or Guilders. 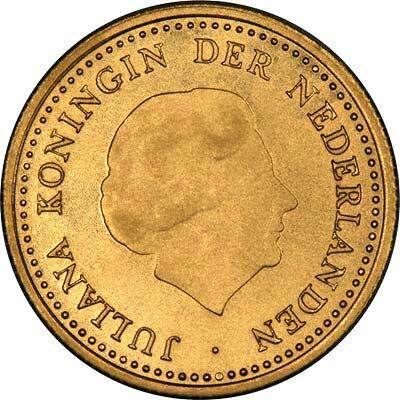 For silver and base metal coins of Netherlands Antilles, please look at our original Chard Coins website.